This is a accidentally found by Chris Ting in Singapore. 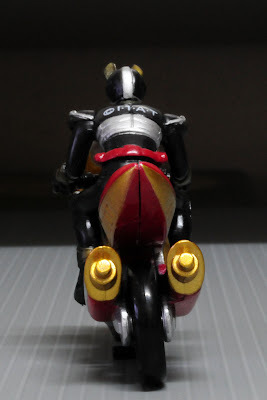 Chara-Wheels are a co-production of Bandai and Mattel released in 2001. 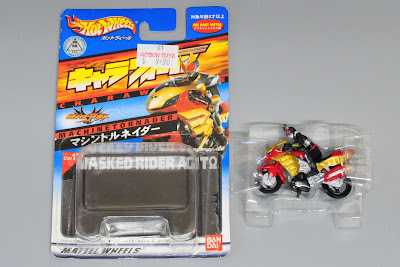 The packages look just like Hot Wheels and the size of the bike similar to Hot Wheels mainline series. 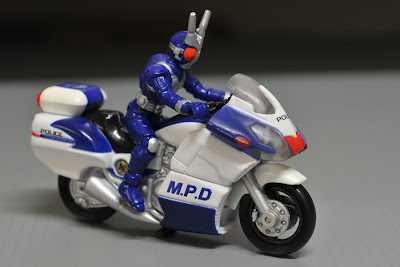 Bandai and Mattel signed a collaborative contract in October 1999. 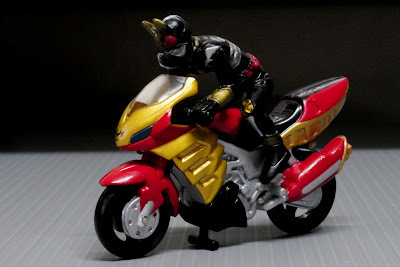 Under the terms of the agreement, Mattel has been selling Bandai products, such as Power Ranger and Digimon toys in Latin America since November of the same year. 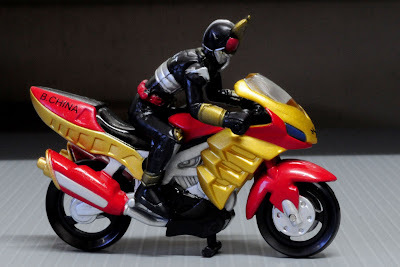 For its part, Bandai has been responsible for Japanese sales of Mattel products, including the Barbies, Hot Wheels and Fisher-Price ranges, since January 2000. 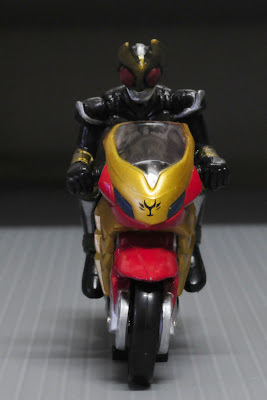 Back to Masked Rider, I have no further details available, if you try to drill more, Google will link you to Ebay most probably. Pictures by Chris Ting, thanks for bought me one of this.